This might seem obvious but it’s surprising how often it can be overlooked, especially for events that the majority of time is not spent outside. If your guests are going to be outdoors for more than half an hour, it is highly recommended to provide some form of shade, especially given you don’t know how hot it may or may not be on the day. If your ceremony is outside and guests will be mingling in the same area during the certificate signing, congratulations and whilst the bridal party takes photos etc – this actually adds up to be quite a long period of time directly under the sun. You can view Party Hire Group marquee hire here. Umbrella hire used during ceremony. 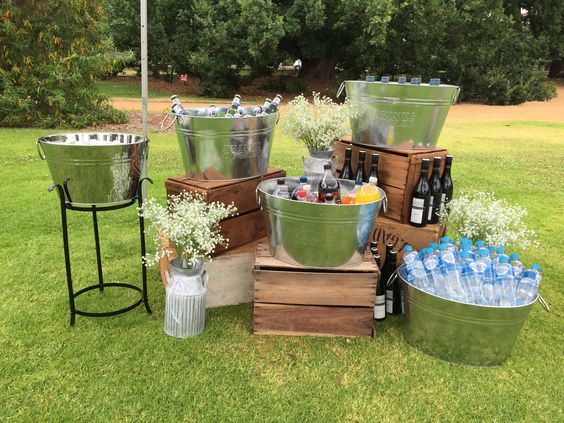 Ensuring you have water accessible and available to your guests is extremely important on warm days. Often guests are busy themselves commuting to the wedding venue and getting ready on the day, they also forget to hydrate. Standing still for long periods of time is not ideal, especially in the heat. 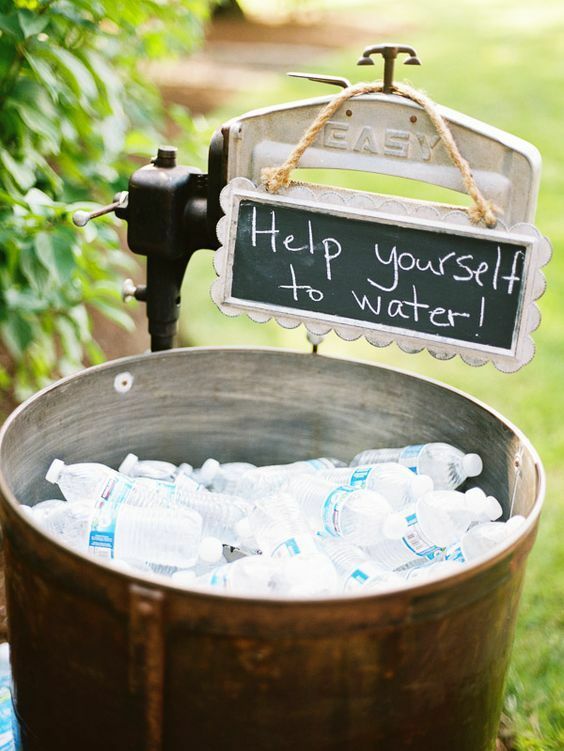 Providing water is a sensible and necessary safety precaution for your guests. It’s not just the self-serve areas that will need eskies, but any temporary bar set-ups that don’t have immediate and quick access to a running fridge will also need to store drinks and bottles in ice tubs or eskies. Larger tubs are better as the ice doesn’t melt as quickly and any new room temperate stock added will cool faster too. 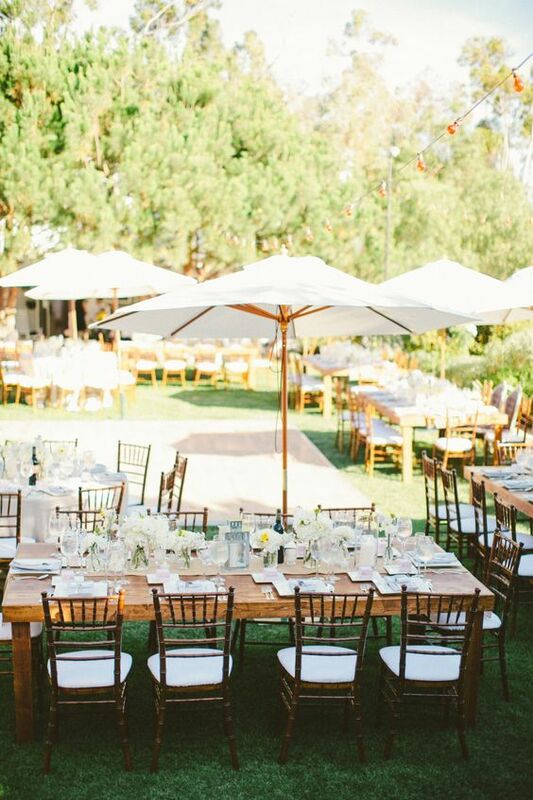 Folded chairs, Bentwood chairs and Tiffany chairs are the best for summer time and outdoor events. If your guests are going to be in the heat you’re best to choose chairs that aren’t metal (no burning bottoms), and that will be more comfortable in humidity (minimise the sweat factor). View a full range of affordable chair hire options here.